SCRIPT SECRETS - The big 2 day class is totally revamped for 2012. Now with The Thematic - the most powerful screenwriting tool I've ever created! a schematic using theme to flesh out your screenplay. Start with a story idea or a character, and it will take you step-by-step, finding the perfect supporting characters, amazing dramatic scenes, dialogue that works on more than one level, actions that show emotional conflict, and more. Thematic uses your story's theme to generate the other elements of the story, creating the template for a tightly focused character and theme based screenplay. This is not a machine or a formula, but a unique way to look at writing your screenplay. The new classes will take you step-by-step from blank page to fully formed character or idea, then use the Thematic to show you how to find the story within that character or idea. How to find the character's unique voice and create the supporting characters who best bring out the character of your protagonist. You'll learn how to show character through actions, decisions and interactions with environment. This is a different and unique approach to screenwriting that places character first. Car chases don't go to the movies, PEOPLE do - so let's focus on the people part of stories! SCRIPT SECRETS: LOS ANGELES - April 14 & 15, 2012 - BIG IDEA class, using GHOST as our primary example we will start by finding the million dollar high concept idea and then find the perfect story and characters for the idea. SIGN UP NOW! Seating is limited! SCRIPT SECRETS: THE BIG IDEA is an INTENSIVE two day course - screenwriting stripped of the theoretical nonsense! 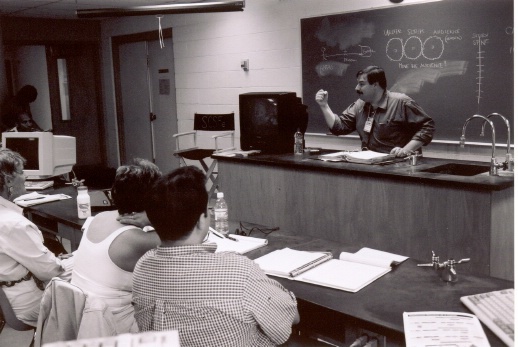 This is the "classic class" - starting with finding that great film idea than explanding that idea into a full length screenplay. We'll spend all day Saturday and Sunday learning techniques to come up with great film ideas, improve your dialogue, description, story and screenwriting abilities! Plus a section on selling your script! For 2011 we'll be using the movie GHOST as our primary example, with clips from that film as well as NORTH BY NORTHWEST, THE MATRIX, AIRPLANE, THE BIG SLEEP and DILLINGER. Register today - SEATING IS LIMITED! SCRIPT SECRETS: SAN FRANCISCO BAY AREA - TBA summer, 2012 - CHARACTER FIRST class, using ROMANCING THE STONE as our primary example we will start by creating an interesting character and then find the perfect story to explore that character. 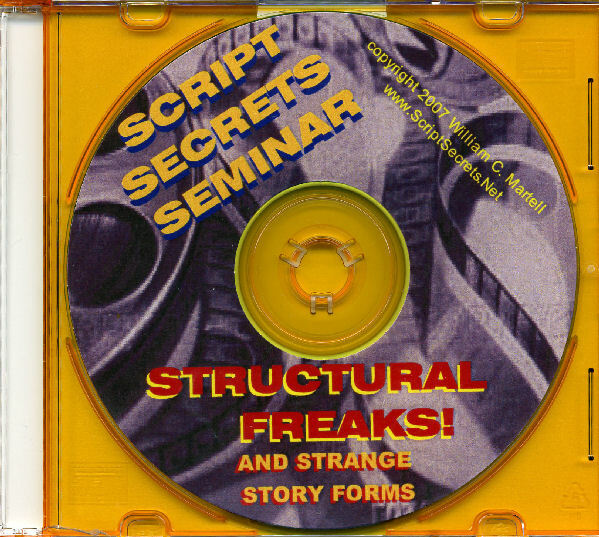 SCRIPT SECRETS: CHARACTER FIRST! 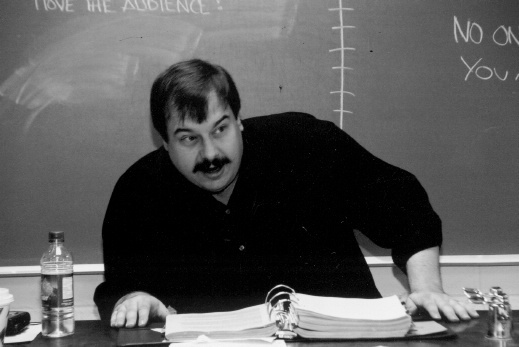 is an INTENSIVE two day course - screenwriting stripped of the theoretical nonsense! Beginning by creating a compelling character, we'll spend all day Saturday and Sunday learning techniques that will improve your dialogue, description, story and screenwriting abilities! Creative ways to solve script problems through character. 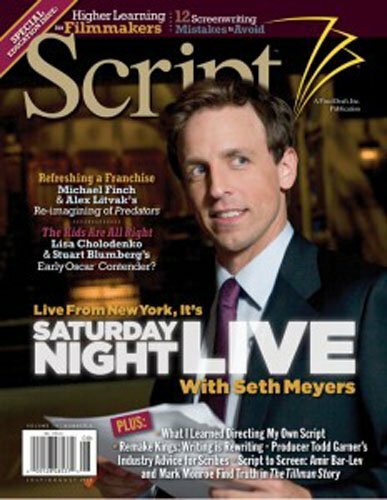 Plus a section on selling your script and managing your screenwriting career! Class includes a 120 page workbook with exercises, assignments (homework), forms and additional materials. Interested in attending? E-mail me and I'll put you on the "interested list" and send you more info when I have it. SCRIPT SECRETS: NEW YORK - TBA, 2013 - CHARACTER FIRST class, using ROMANCING THE STONE as our primary example we will start by creating an interesting character and then find the perfect story to explore that character. SIGN UP NOW! Seating is limited! MyCity@scriptsecrets.net - Pick My City! 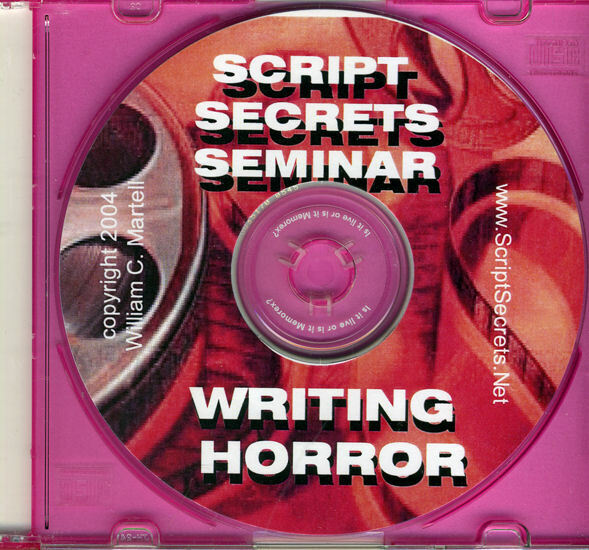 SCRIPT SECRETS 2 DAY CLASSES: There are now 3 different versions of the big 2 day class: SCRIPT SECRETS: THE BIG IDEA - using GHOST as primary example, SCRIPT SECRETS: CHARACTER FIRST - using ROMANCING THE STONE as primary example, and SCRIPT SECRETS: THEME & CONFLICT using NOTORIOUS as the primary example. Plus. I have 2 other classes in development: SCRIPT SECRETS: CHARACTER IN ACTION a class on writing action movies for the new millennium that uses THE MATRIX as primary example (plus BATMAN BEGINS, BOURNE, and CASINO ROYALE) and SCRIPT SECRETS: INCREDIBLE CONFLICT focusing on central conflicts (emotional and physical) that uses THE INCREDIBLES as primary example. These classes will be in rotation over the coming years, so that there will always be a new class with fresh information! 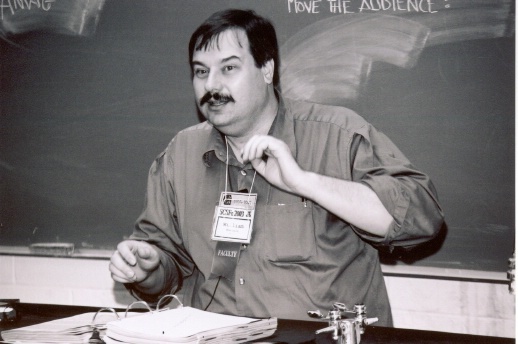 "Better than Robert McKee's class (and much less expensive) - more information and less pontification." This course strips away all of the silly theories to focus on the bare essentials of screenwriting: finding the right idea, improving your story, structure, dialogue, description, visuals and characters. Using your imagination to solve problems and create scripts that Hollywood wants. A screenplay should be as exciting to read as the movie will be to view, and that requires writing designed to involve the reader and audience. 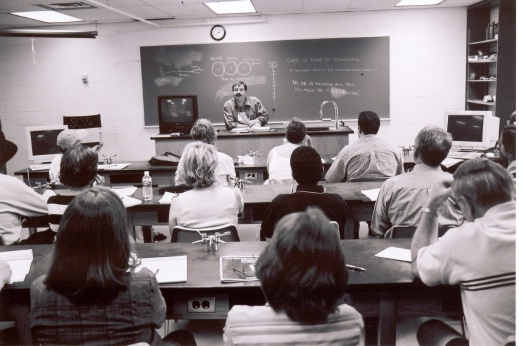 Using proven techniques, the class will guide you from idea to screenplay to selling the script. Script Secrets is designed so that both beginners and professionals will come away with techniques they can use to improve their scripts. 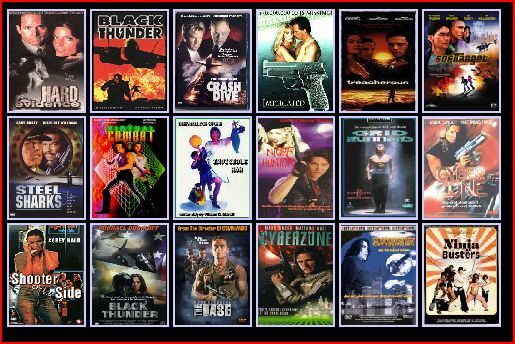 William C. Martell has written nineteen produced films including three HBO Premiere movies: Steel Sharks with Gary Busey and Billy Warlock; Crash Dive with Frederic Forrest and Grid Runners with Michael Dorn. 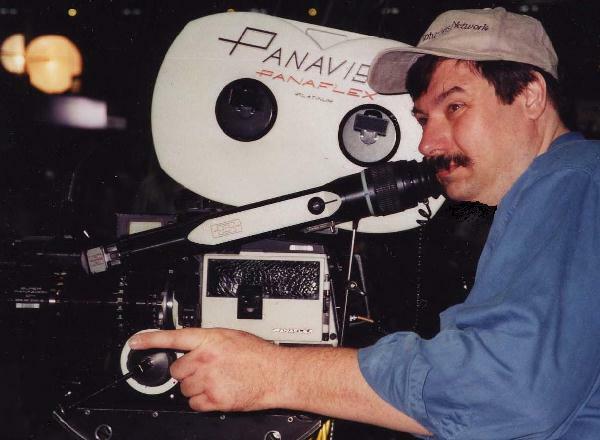 He currently is working on several projects for Hollywood Studios. "William C Martell is the Robert Towne of made for cable movies." David Nuttycombe, Washington Post. Was G FORCE the greatest film you have ever seen about rodent spies? Did you like HANGOVER so much you needed a little hair of the dog that bit you? Was HURT LOCKER the best rush of adrenaline since that Keanu/Busey/Swayze surfin' & sky divin' bank robbery movie? Be heard: Movie Discussion! * Hong Kong! - October 24 & 25!